Grandparents who take care of their grandchildren regularly, whether through a court order or because their children are unfit, may want to think about getting custody. Without legal custody, grandparents may find themselves unable to get proper medical care or take advantage of certain benefits their grandchildren may be entitled to. Consider temporary relative custody. This is a document that awards temporary custody to a relative in the event that a parent cannot take care of their children. This can be as a result of drug abuse, financial issues, mental health concerns or military service. File a dependency action. Grandparents can file this type of action themselves, but it is most often handled by social services. This can be done if the grandparent feels the child is being neglected or abused. During this time the child may be placed with the grandparents or other relatives or in foster care. If the parents are found to be unfit, the department may recommend that parental rights be terminated at which time the grandparent may legally adopt the grandchild. Get consent of parents for guardianship of your grandchildren. Should circumstances arise where parents are no longer able to care for their children even for the short term, they can award guardianship of the children to the grandparents. Think about adoption. A grandparent may adopt their grandchildren legally if the parent's rights have been terminated, if the parents are no longer living or with the parent's consent. Editor, Legal. "How to Get Custody of Grandchildren." 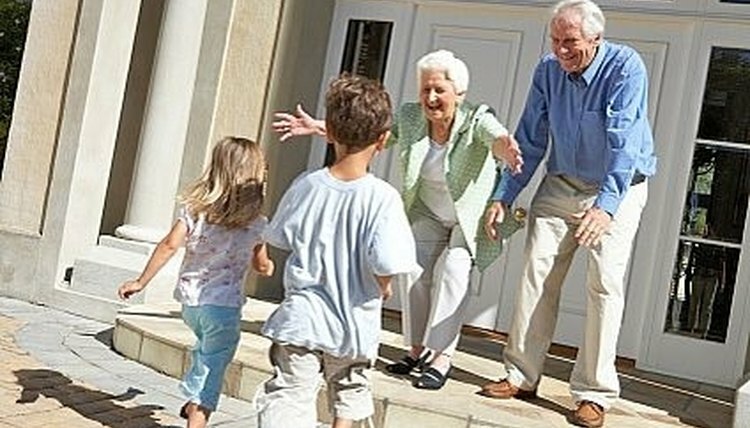 , https://legalbeagle.com/2086038-get-custody-grandchildren.html. Accessed 21 April 2019.